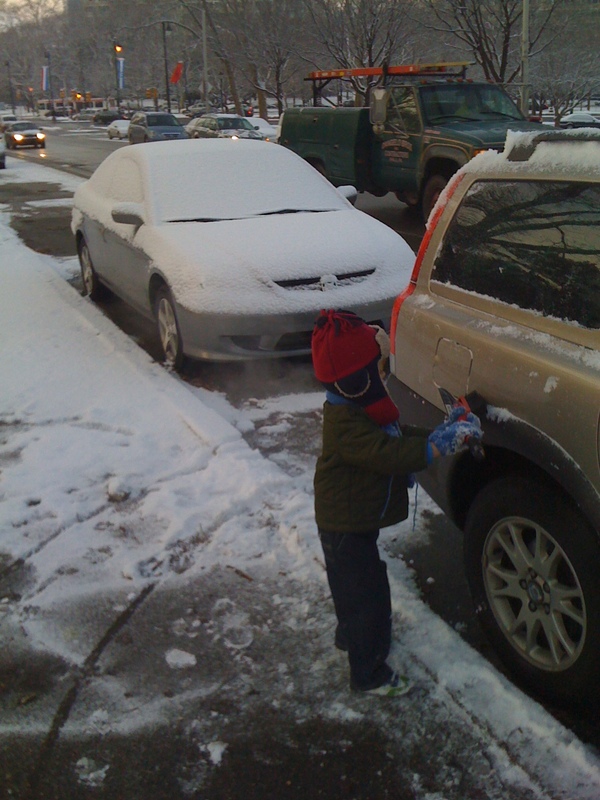 We got an inch or two of snow overnight, so B and I had to clean off the car before going to school. I swear, he wanted to help!! 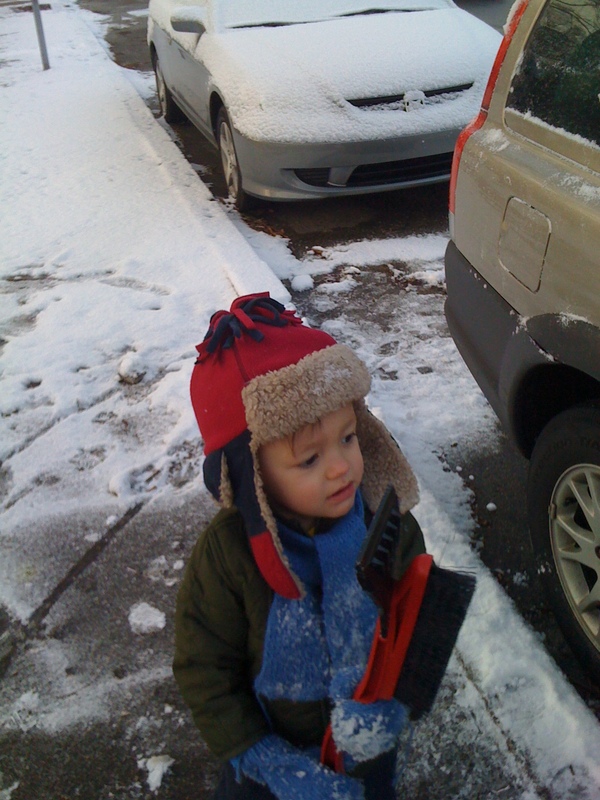 This entry was posted in best.parents.ever, city life, stubborn toddler ways, winter by Southern Girl. Bookmark the permalink.